Over 50 schools in London have been identified as suffering from harmful levels of air pollution in a recent School Air Quality Audit Report by the Mayor of London. 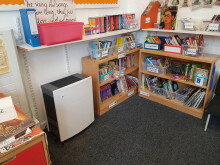 As a result of the audit, Christopher Hatton Primary School in Camden contacted Swedish company Blueair to donate an air purifier for each of their classrooms which has already led to a reduction in the pollution levels by up to 96%. 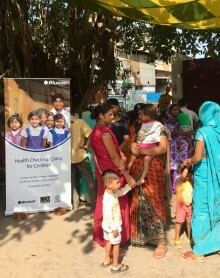 Blueair, a world leader in air purification solutions, strengthens its sustainable business focus by appointing a Chief Purpose Officer with the objective to embed sustainable business principles at leadership level and connect purpose to business strategy to drive measurable results. Blueair, a world leading producer of air purification solutions for home and professional use, today celebrated together with the Fairmont Beijing Hotel a partnership which has made the prestigious hotel, the world’s first “Blueair Zone”, a safe-haven for breathing clean, healthy, germ-free air. Blueair, a world leader in air purification solutions, today announced changes to its global leadership team. 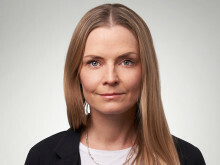 Julia Lilliehook has been appointed Chief Brand & Marketing Communications Officer and Daniel Johansson will become new Chief Technology Officer. Blueair, a world-leader in air purification for home and professional use, has been awarded “Best Innovative Breakthrough” by TMall, the leading online retailer in China owned by Alibaba for its data insight and IoT use. 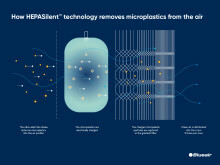 Blueair, a world-leader in air purification solutions, today announced that Henk in ’t Hof has been appointed new CEO with immediate effect. Henk will report to Kees Kruythoff, President Home Care, Unilever. 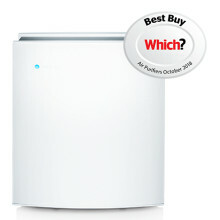 Immediate hay-fever relief with Blueair Classic best-in-test air purifiers recommended by Swedish Asthma and Allergy Association. 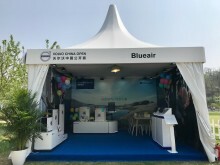 Blueair, a world-leader in air purification solutions, has been selected official clean air provider at the Volvo China Open 26-29 April 2018. During the prestigious four-day golf tournament at the Topwin Golf and Country Club in Beijing, Swedish Blueair will present its range of best-in-class products designed for a healthy living. Blueair, a world leader in air purification solutions, appoints Julia Lilliehook as Global Consumer Experience and Market Insights Director. With 20 years of experience in marketing, brand development and consumer insight from global consumer brands, Julia brings a wealth of experience in successfully shaping consumer experiences and innovation portfolios. Blueair, a world-leader in indoor air purification for home and professional use, won three awards including “Most Popular Brand” and “High-end Smart Product” at the China Household Appliances Online Summit in Beijing. In addition, Blueair China General Manager Maggie Chan, was awarded “Exemplary Industry Figure”.